NTR starrer upcoming Telugu action and romantic drama Aravinda Sametha Veera Raghava is one of the most awaited movie of this year. 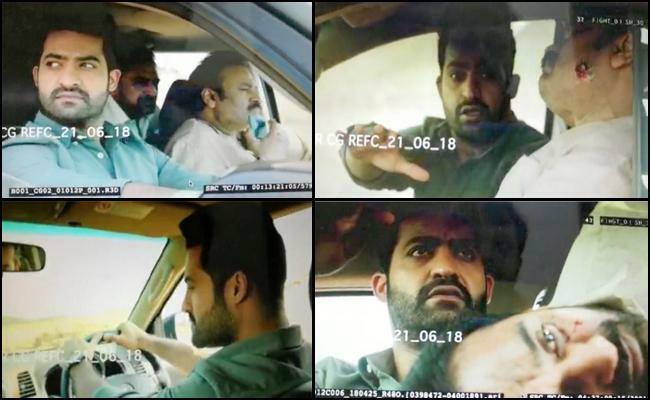 Now the Tollywood film Industry is shocked as the Aravinda Sametha Teaser Leaked online on social media sites. The screenshots of the teaser can be seen here on southcolors.in. The sources says that Aravinda Sametha Teaser leaked from the editing room. The Screenshots of Aravinda Samata Veera Raghava Teaser are available here. The Aravinda Sametha official teaser of the film will be released on 15th August 2018 on the eve of Independence Day 2018. Haarika and Haasinee Creations has made official confirmation regarding Aravinda Sametha teaser release date. The makers wrote on Twitter, “Finally!! Here The news you have all been waiting for is here. Young Tiger @tarak9999’s #AravindhaSamethaTeaser will be out on August 15th. Time will be confirmed in a couple of days. Watch our handle for more updates. #Trivikram @hegdepooja” [sic] It is also heard that the makers will make the official announcement of the release date on the same day. This is not the first time when the team of Aravinda Sametha Veera Raghava is facing the leakage problem. A few weeks ago, a still that featured Jr NTR with Naga Babu was leaked on the social media sites and went viral. Aravinda Sametha Teaser leaked still generated a positive buzz among the audiences. 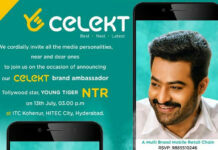 Trivikram Srinivas asked the crew members to hand over their mobiles at the security before entering the location but recently once again, a couple of stills from the sets were leaked in which Jr NTR was seen wearing a long white kurta and blue colored jeans.